But not everyone has benefited equally. Men still lag behind women. Overall, men have 699,000 fewer jobs now than they did in December 2007, when the recession began. Women, on the other hand, recovered all their lost jobs last year. Why is this happening? First, men were hit harder in the recession than women. Second, the jobs that are returning are not the same ones that were lost in crisis. Male-dominated industries like construction and manufacturing accounted for about half of all jobs lost in the downturn, and those positions have been slow to return. Men lost more jobs than women in the recession. 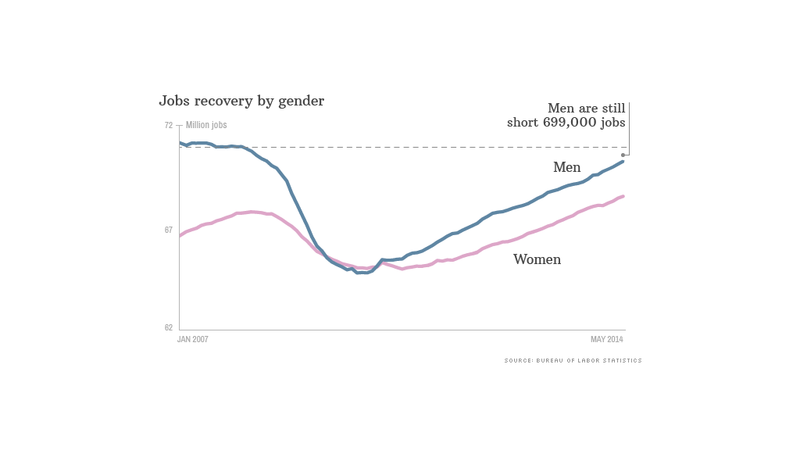 Whereas men are still 699,000 jobs away from a recovery, women recovered all their lost jobs last year. As for the future, just take a look at the top 10 occupations for job growth, as projected by the Department of Labor. Most of these positions -- like registered nurses, home health aides and administrative assistants -- are still fields employ more women at present. Related: Is a male nurse a 'murse'? This trend begs the question: Will more men start transitioning into traditional women-dominated fields, becoming nurses and teachers, for example? Peter Vuckovaz did just that. After 22 years in finance, he was laid off from his job during the recession. He describes 2010 as "brutal," marked by an endless parade of job interviews and very few employment opportunities. The final straw came when Vuckovaz learned his mother had fallen sick. He became her full-time caregiver, and decided to attend nursing school. 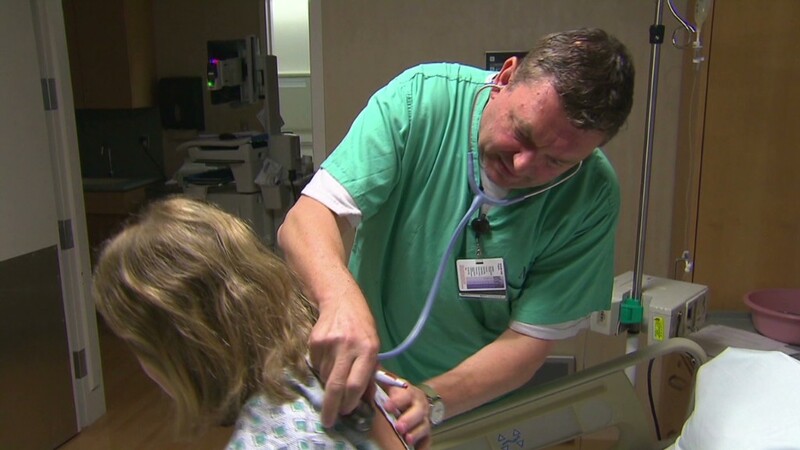 He now works as a nurse at New York University's Langone Medical Center. The new job is "very gratifying," he said, but it doesn't come without its setbacks. Whereas in finance he earned six figures a year, as a nurse his pay has dropped by a third. "I cut back on things, but I still enjoy it. I've just learned to spend my money more wisely," he said. So far, the data don't bare out a story of a mass movement of men switching to the health care and education. When the recession began, 77.5% of the jobs in these two industries employed women. As of May, that number fell to 76.8%, barely any change. "The number of men moving into traditional female dominated fields is a trickle rather than a surge," said Ariane Hegewisch, a study director at the Institute for Women's Policy Research. "We do not know whether there will be a tipping point at some stage."